The indefatigable Dawn spacecraft is continuing to forge through the main asteroid belt, gently thrusting with its ion propulsion system. As it gradually changes its orbit around the sun, the distance to dwarf planet Ceres slowly shrinks. The pertinacious probe will arrive there in 2015 to explore the largest body between the sun and Neptune that has not yet been glimpsed by a visitor from Earth. 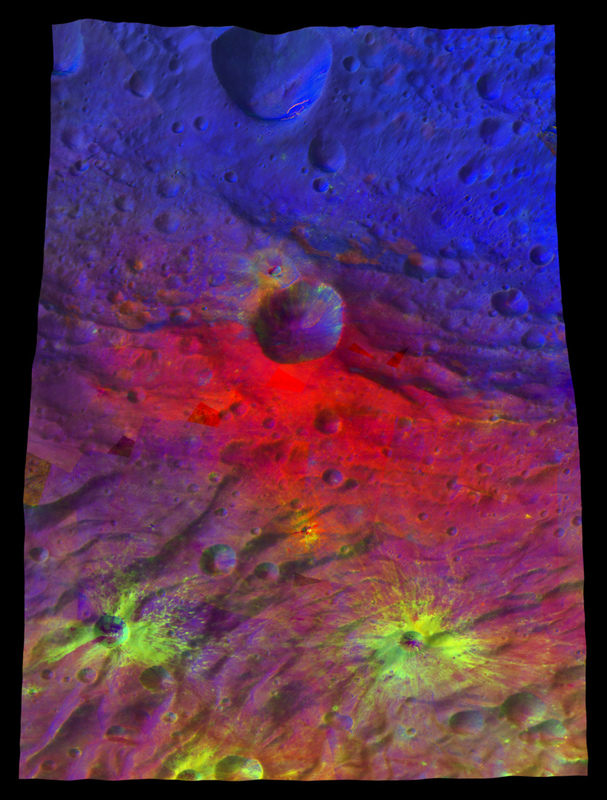 Meanwhile, Vesta, the fascinating alien world Dawn revealed in 2011 and 2012, grows ever more distant. The mini-planet it orbited and studied in such detail now appears only as a pinpoint of light 15 times farther from Dawn than the moon is from Earth. Climbing through the solar system atop a column of blue-green xenon ions, Dawn has a great deal of powered flight ahead in order to match orbits with faraway Ceres. Nevertheless, it has shown quite admirably that it is up to the task. The craft has spent more time thrusting and has changed its orbit under its own power more than any other ship from Earth. While most of the next two years will be devoted to still more thrusting, the ambitious adventurer has already accomplished much more than it has left to do. And now it is passing an interesting milestone on its interplanetary trek. With all of the thrusting Dawn has completed, it has now changed its speed by 7.74 kilometers per second (17,300 mph), and the value grows as the ion thrusting continues. For space enthusiasts from Earth, that is a special speed, known as “orbital velocity.” Many satellites, including the International Space Station, travel at about that velocity in their orbits. So does this mean that Dawn has only now achieved the velocity necessary to orbit Earth? The short answer is no. The longer answer constitutes the remainder of this log. Read more: Dawn journal: Revisiting orbital mechanics | The Planetary Society.